T20 Blast comes to Sunbury ! The T20 Blast is set to commence with a free trial night at Rupertswood this Wednesday night. This event is run by Cricket Victoria and has all the excitement of T20 with music and plenty of activity for participants. Go to our website on the link below for full details. If you are not sure about participating just turn up and join in the fun of this free trial night. 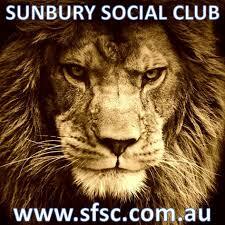 Be sure to say you are from Sunbury CC. MILO T20 Blast is a super fun, social, safe, cricket program for boys and girls 7-12. The program is much shorter than traditional cricket, with a maximum of 90 minutes playing time. All the equipment is supplied and the games take place at Sunbury venues each week. We have come together with Cricket Victoria, East Sunbury, Rupertswood, and Sunbury United Cricket Clubs to make this popular format available. Previous PostT20 Blast comes to Sunbury !Next PostSunbury Roar T20 !